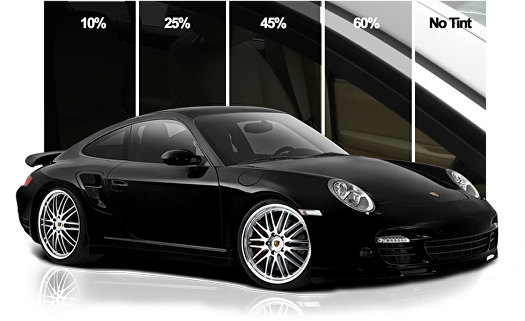 Car window tinting is one of the best ways to improve the look and comfort of your vehicle. As you drive, you’ll find that your vehicle is much cooler and more comfortable. It also makes the glass safer and the interior is less likely to crack or fade. Have you ever gotten into your car after it had been sitting in the sun all day? The heat is likely unbearable, but if you had window tint installed that heat would be greatly reduced saving you time and energy cooling down your vehicle.